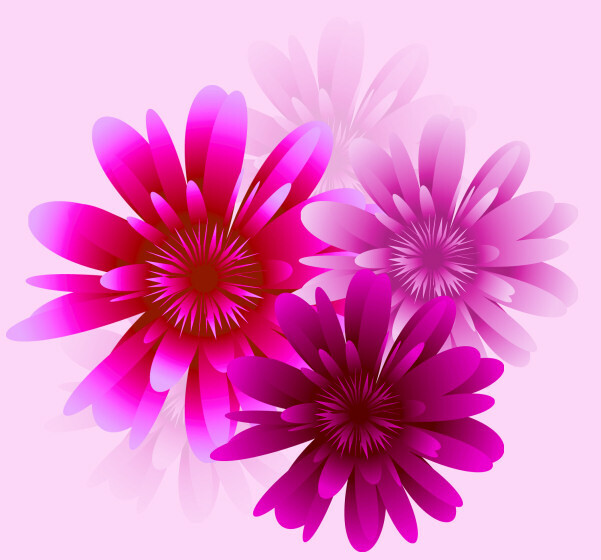 The flower images above have been greatly reduced. Not all are shown. A collection of bold illustrated flowers for all seasons. 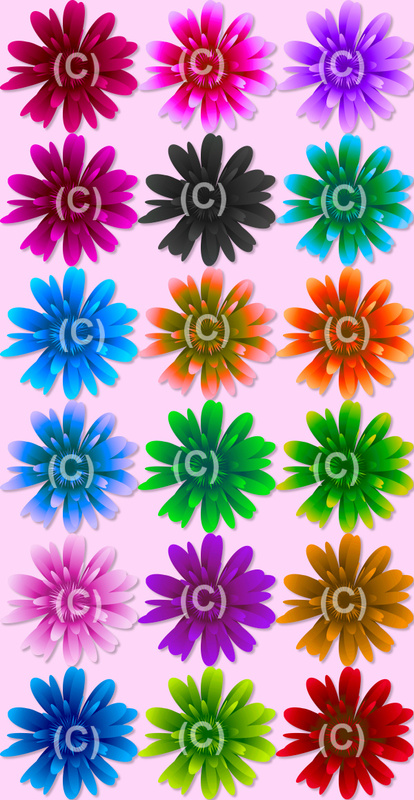 This is a collection of bold fantasy flowers that I created in Adobe Illustrator. Several color variations are included that will make these vivid blossoms great for many projects, including seasonal and holiday designs and scrapbook designs. They would make wonderful fairy flowers. And I have my eye on the black flower for an adornment for a Halloween design. The green ones would be perfect for St. patrick’s Day. They’re flowers for all seasons. I’ve also included the flower seamless tile that I used for the background on this page (without the watermark, of course). It could be used for backgrounds, textures, or to flood fill a page to create scrapbook papers. There are 19 royalty free, high-quality clipart PNG images in this package and one seamless background tile. All of these images have transparent backgrounds (except for the background tile) making it easy for you to use them as tubes or nozzles–or merely to drop into your design. The size of these images varies, but they are approximately 980 X 946 pixels. All are 300 DPI, making them great for print projects. This package is one zip file, which is about 5 MB.